Translated by Daniel Eng, L.Ac. Mr. Li, male, 32 years old. The patient was a driver. When he drove in the summer, the weather was hot and he would freely drink ice-cold beer or soda, daily and without restraint. When autumn came he started experiencing headaches every night. The pain was severe, and he had to knock his fists against his head or take analgesic pills in order to obtain relief; it was also accompanied by blurred vision. The condition had persisted for over a month. On visual inspection, the patient’s facial complexion was dark and sallow, his tongue was pale and tender with a wet, slippery coating, and his pulse was deep, wiry and moderate. This was a case of yang deficiency with water overflowing, turbid yin escaping upward, and clear yang being stifled. After taking six packets of the medicine, the headaches had lessened significantly. His formula was changed to Ling gui zhu gan tang, and after four packets he was cured. Commentary by Dr. Liu: Zhenwu tang is also known as Xuanwu tang. Xuanwu is the spirit that controls water in the north. Because this formula has the function of supporting yang and controlling water, it is therefore named Zhenwu tang; it is used for patterns such as Shaoyin yang deficiency with cold, and water qi failing to transform. The Shanghan lun says: “Abdominal pain and inhibited urination . . . means there is water qi.” This indicates the key pathomechanism of this pattern. Yin deficiency with hyperactive yang often stirs wind, while yang decline with exuberant yin often stirs water—this is a basic rule of the occurrence and development of disease. Yang deficiency stirring water is normally treated with the Ling gui formulas; if the disease has reached the kidneys, with yang qi deficiency and decline, palpitations, dizziness, instability when standing, and swaying as if about to fall to the ground, then we must treat using Zhenwu tang. 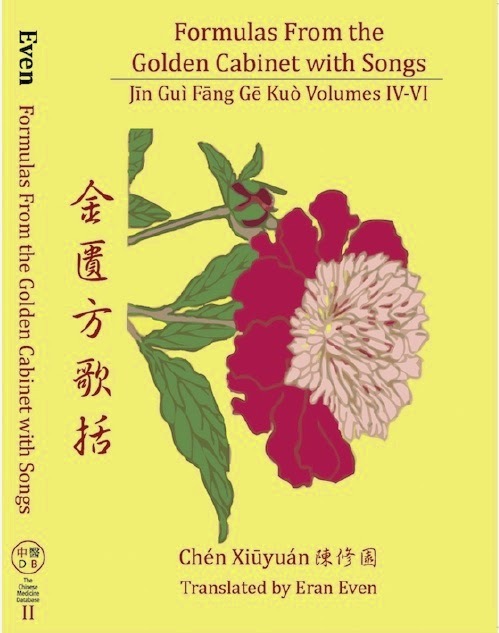 If one takes Zhenwu tang, and the kidney yang is warmed yet the water qi is still unable to transform completely, then we can further use the warming herbs of the Ling gui formulas to harmonize. Ms. Jin, female, 42 years old. The patient had been suffering from left-sided migraines for over three years. She had tried many treatments without effect. Accompanying symptoms included stiff nape; distention, fullness and discomfort of the chest and epigastrium; and frequent, scanty urination. Bowel movements were normal. The pulse was wiry and tight, and the tongue fur was wet and slippery almost to the point of dripping. Fuling 30g, baishao 30g, baizhu 10g, zhi gancao 10g, dazao 12 pieces, shengjiang 10g. After taking six packets, she was cured. So, how should we understand this issue? First, we should remember the features of Guizhi tang and its modifications and transformations. The biggest feature of Guizhi tang is that it moistens yin and harmonizes yang, and the herbal combination that achieves this feature is guizhi combined with shaoyao. Guizhi and shaoyao, one yang and one yin, clinically can be taken to form a dichotomy. For example, there is a Guizhi jia gui tang, so there is also a Guizhi jia shaoyao tang; therefore, since there is a Guizhi qu shaoyao tang, there should also be a Guizhi qu gui tang. This way, yin and yang are counterparts, and this fits the objective rules of disease transformations and their treatments. If we analyze along these lines, Guizhi tang with the removal of gui is actually a real phenomenon. Furthermore, from the perspective of the herbal composition of Guizhi qu gui jia fuling baizhu tang, it wouldn’t hurt to compare it to Ling gui zhu gan tang, in order to understand more clearly the significance of removing gui. In the Shanghan lun, Zhongjing used Zhenwu tang to support yang and disinhibit water, so he also had Zhuling tang to supplement yin and disinhibit water as its counterpart. This is because fluid metabolism dysfunction in the human body is related to the two aspects of yin and yang. Therefore, since Zhongjing offered Ling gui zhu gan tang to unblock the yang and disinhibit water, he should have a formula to harmonize yin and disinhibit water as its counterpart. The answer to this question lies precisely in Qu gui jia fuling baizhu tang. This formula’s herbal composition is as follows: fuling, shaoyao, baizhu, zhi gancao, shengjiang and dazao. If we look at these ingredients, it is not difficult to discover that the four ingredients fuling, shaoyao, baizhu and zhi gancao are exactly analagous to the four ingredients of Ling gui zhu gan tang, with guizhi and shaoyao as yin-yang counterparts. For this reason, it wouldn’t hurt to call this “Ling shao zhu gan tang” for the moment. “Ling shao zhu gan tang” uses shaoyao on one hand to moisten the ying and harmonize yin, and on the other hand in combination with fuling, so it also has the function of removing water qi and disinhibiting urination. So the ability of “Ling shao zhu gan tang” to harmonize yin and disinhibit water is in exact yin-yang relationship with the ability of Ling gui zhu gan tang to unblock yang and disinhibit water. And the fact that shengjiang and dazao are further included is just like how Ling gui zhu gan tang also has the adaptations known as Ling gui zao gan tang and Ling gui jiang gan tang. Even if this is so, why didn’t Zhongjing simply name it “Ling shao zhu gan tang,” instead of naming it Guizhi qu gui jia fuling baizhu tang? There may be two reasons for this. The first is that in Zhongjing’s writings, there is often a paired relationship between lines that appear before and after each other. After all, Line 21 lists Guizhi qu shaoyao tang, so Line 28 goes on to mention Guizhi tang and the method of removing gui. This causes a person to compare, so that they see the difference between “chest fullness” in the line above, and “fullness and slight pain beneath the heart” in the line below. Secondly, Zhongjing was afraid that later generations, upon seeing “pain and stiffness of the head and nape” and “feathery-warm heat effusion,” would grasp onto guizhi and not let it go, overly insistent on the exterior-releasing function of guizhi; so he emphasized that for this formula we must remove guizhi and keep shaoyao. Therefore, when reading Zhongjing’s books we must search in hidden places to tease out deeper meanings. In the clinical use of Guizhi qu gui jia fuling baizhu tang, the key to pattern differentiation lies in “inhibited urination.” Inhibited urination is a manifestation of bladder qi transformation dysfunction, leading to water evil stagnating internally. Water evil stagnating internally in the bladder can obstruct the flow of yang qi in its channel. When yang qi is blocked and the channel is inhibited, there may be external signs such as feathery-warm heat effusion and pain and stiffness of the head and nape, so it looks like an exterior pattern but really is not an exterior pattern. When the water evil congeals and binds, blocking the qi mechanism and causing interior qi disharmony, there may be interior signs such as fullness and slight pain beneath the heart, so it looks like an interior excess pattern but really is not an interior excess pattern. Therefore the methods of promoting sweating and down-purging are both inappropriate. The pathomechanism of this pattern is as follows: inhibited urination → water blocking the bladder → external qi obstruction and internal qi binding. Source: Liu Duzhou, ed., Jingfang linzheng zhinan (Beijing: People’s Medical Publishing House, 2013), pp. 50–53, 126–128.